I give in! 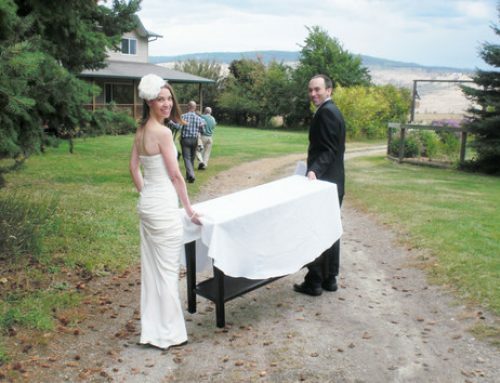 Brides and grooms around the planet have asked me for a wedding budget planning tool thinger for years. Since I just got married, I’m now in a place where I can share a simple spreadsheet that works for planning a wedding on budget. So yes, I’m saying I DO to a wedding budget download and sharing it with you, for free. Group hug. There are two parts to the Wedding Budget Planner. 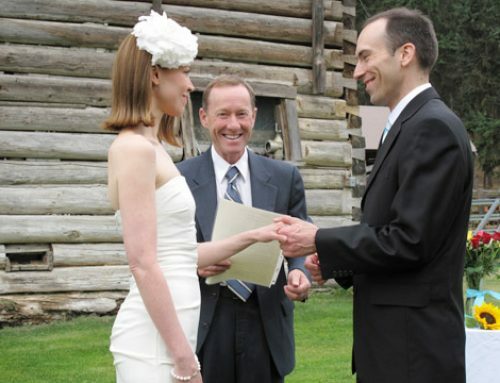 The first is a guest list, the second tallies your planned and actual wedding costs. Don’t become a BROKE bride and groom. Use this essential planning tool to track your spending and keep an eye on your total wedding costs. Don’t say I DO to debt on your big day. Step 1: Make a list and cut it twice. Nothing increases the cost of a wedding more than a large audience. 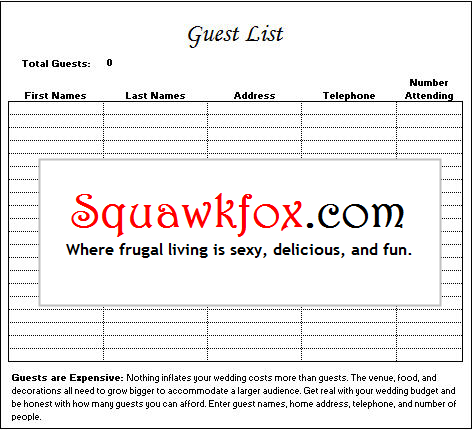 Use the Guest List Worksheet to create an affordable guest list. You can’t invite everyone. 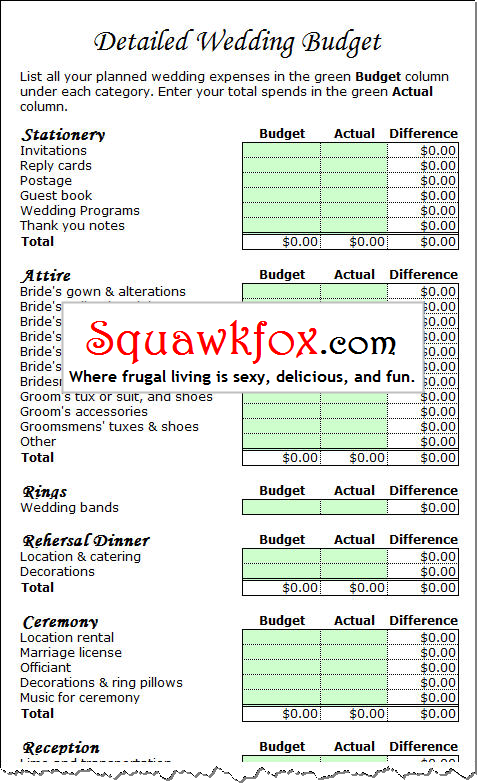 Step 2: List your planned expenses under the Budget column in the Detailed Wedding Budget Worksheet. Tally your expected costs. Yes, you may have to cut both the horse-drawn carriage and bubble machine. Sorry. Step 3: As you pay your vendors, enter all final expenses under the Actual column. 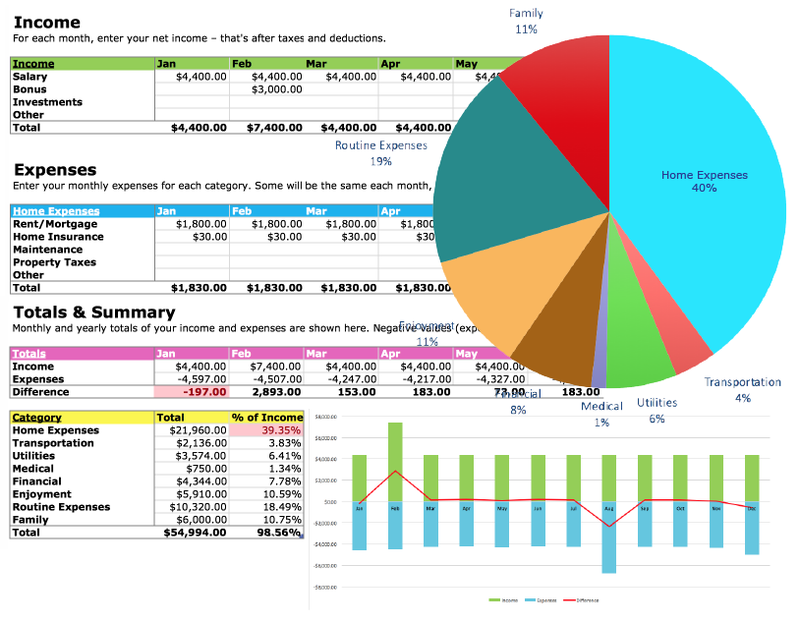 This spreadsheet updates automatically and warns you if you’re over budget. Your Turn: What was your biggest wedding expense? I just got married last month. The biggest expense for us was the catering (we had a sit down meal) at $2300. Of course on top of that we had to rent the place, which was another $1250. The other big expense was the photography, at $1200. I made my own wedding dress and my own bouquet which saved us a LOT of money. I highly recommend doing that if it’s an option for you! 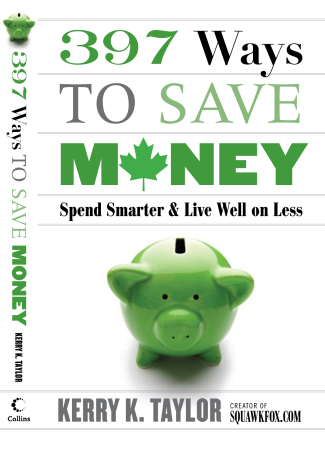 Thank you so much for this, it’s going to be a huge help for keeping a realistic budget! Awesome information, finally I found what I was looking for, thank you for all the tips, I am planning the “I DO” this year.